Let's invent an author. 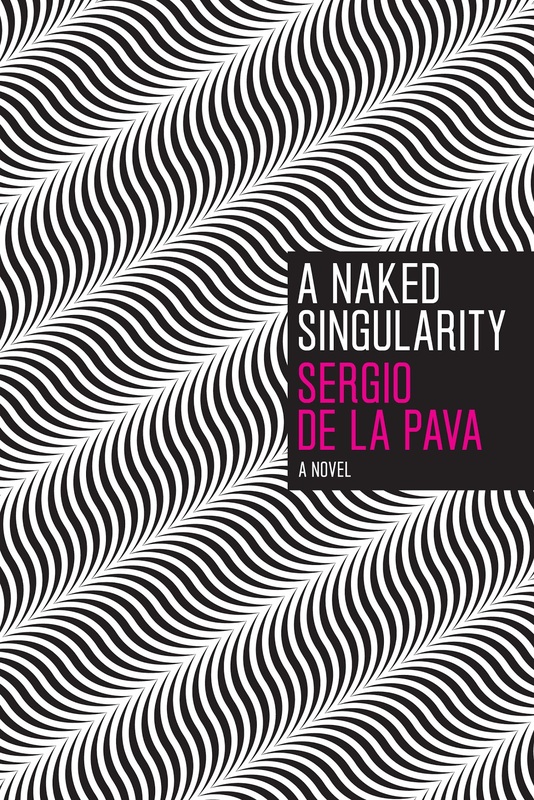 He writes about society in all its mad complexity, especially the bottom-dwellers, with numerous characters that are both cartoonish and fully rounded, often with unlikely names. The world he describes is also vaguely science-fictional, a sort of five-minutes-into-the-future world where everything is like now, only more so; where lapsed students try strange technological rituals to summon sitcom characters into the real world, and where the fabric of the universe itself is fraying. We could call this writer something like Philip K. Dickens. 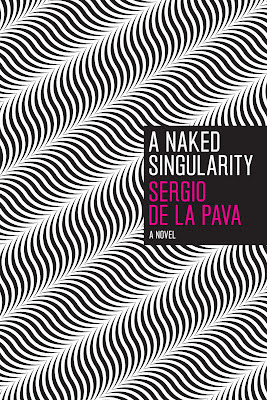 But, in fact, we don't need to invent him, as he exists in the form of Sergio de la Pava, and I've recently read and loved his first novel, A Naked Singularity, originally self-published and now taken up by the excellent University of Chicago Press, who also publish the astounding Parker novels.. It's big and mad (in both sense of the word) and really rather wonderful, and despite its 700-page length I didn't find myself wishing for a heavy-handed editor, which is pretty rare for a book published in the last twenty years. Living with this book for a number of days, carrying it around with me everywhere I went, that eye-warping pattern started infiltrating my brain. It's not an easy book to describe, because there's so much in it, much of it in the form of extended, frequently hilarious, setpieces of Gaddis-like unattributed dialogue. It's ostensibly about in increasingly disaffected public defender in New York City. It's about the death penalty. It's a heist/caper novel. Basically, it's great. I heartily recommend it. (I even enjoyed the extended sections about boxing--and I'm the kind of snob who thinks pretty much all sport is stupid, but that boxing is the worst, since you can actually literally watch the contestants becoming even more stupid as a match progresses). If you can tear your eyes away from the Lovecraftian nightmare of the dancing covers, go and read it. You need to stop making me want to read books. I already have plenty of books to read! Your post would have convinced me to buy the book... if my copy hadn't already arrived in the mail yesterday. Alan, I'm here to make sure my problems become everyone's problems. Shark, Thatcovergirl--you are currently experiencing brain rebooting. Do not look away. Matt--I think you'll find that the freaky cover design actually caused my persuasive arguments to go back in time and influence you to buy the book before you even read the post. It's so nice to come across another man that hates sport.When it was announced that London was going to host the 2012 Olympics, my heart sank. As for the book, it sounds wonderful. I'm adding it to the list. I think you'll like it a lot. Regarding sport and the Olympics, I see that Nicholas Lezard has an Olympics-loathing book coming out soon, which could be promising. You know.... I have a groaning shelf full of long, rambling, Pynchonesque novels -- most of which I have been unable to finish. I really didn't need any more. Really. Damn you. The good news for the author is that there's a wait for availability at Amazon US, which usually means a new printing ordered. Sorry, Tulkinghorn--though this one is actually very readable. I talked to the publisher recently, and he says it has indeed sold out of the first printing. I'm just here for the dancing books. "but that boxing is the worst, since you can actually literally watch the contestants becoming even more stupid as a match progresses)"